The annual changes to the National Construction Code (NCC) took effect on 1 May 2016. Here’s a snapshot of what changed for builders and trade contractors in Queensland. 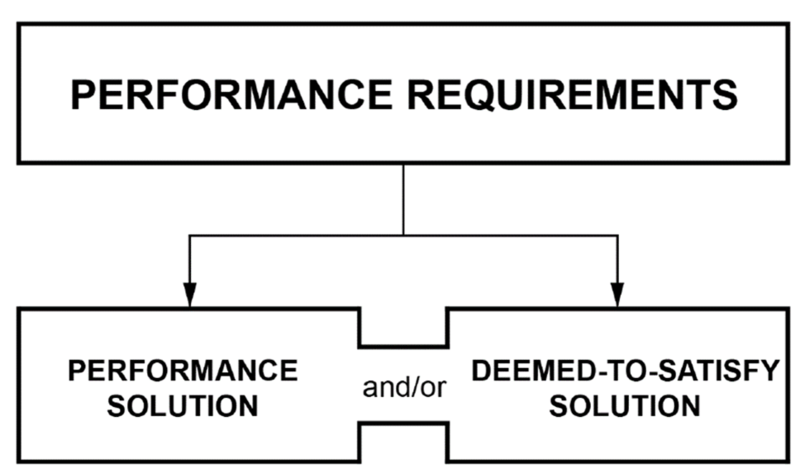 The previous performance-based code was hard to understand, so the hierarchy pyramid diagram in the building code was removed and replaced with a two-tier diagram. Verification method options, BV2 and V2.1.2, for structural robustness, are used to verify the reasonable extent of damage that may occur if part of a structure fails during or after construction. The assessment includes notional removal of structural members. Where a member carries more than 25 per cent of the total structure, a systematic risk assessment of the building is undertaken. Verification method options, FV4.1 and V2.4.5, for ventilation, are used to quantify the performance requirements for ventilating a space within a building to achieve acceptable indoor air quality. A detailed table lists the pollutant, the maximum contaminant level permitted and the time period for measurement of the pollutant. This will not apply to carparks, factories, laboratories or health care buildings. Adjacent risers or adjacent goings must be within 5mm of each other. The largest and smallest riser, or the largest and smallest going within a flight, must be within 10mm of each other and must not exceed the limitations for the maximum and minimum dimensions. The maximum gradient for ramps serving an external doorway or a ramp within a building for class 1 and 10 buildings cannot exceed 1:8. Landings not less than 750mm long must be provided where a doorway opens onto a ramp, at the bottom of a ramp and at intervals not exceeding 15m. A driveway is not considered to be a ramp for these requirements. The risk to occupants who may need to travel down a stairway to safely evacuate the building. Provisions allow the use of timber to construct class 2, 3 and 5 sprinkler-protected buildings, up to 25m effective height. Cavity barriers are an important part of timber mid-rise construction requirements. They are made of solid timber or polythene sleeved mineral wool, and are installed in concealed cavities around the building to prevent the passage of flame and hot gasses beyond the compartment of origin. Sprinkler protection is required in fire compartments with more than 40 vehicles, but don’t apply to open deck carparks. A group number is a measure of how readily something catches on fire and how much heat it releases when it burns. The lower group numbers are less ignitable, and are specified for areas like fire-isolated exits and public corridors in health care buildings. As some products are more suited to one form of testing, AS 5637.1 - 2015 Determination of fire hazard properties – Wall and ceiling linings applies as it contains a process to determine the appropriate test to use, and requires this to be undertaken. There will be a transition period to allow affected products to be tested under the new regime. This transition period ends 1 May 2019. Have a fire-protective covering on the underside of the floor, including beams incorporated in it, if the floor is combustible or of metal. A class 1 building includes a class 10a private garage located above or below the class 1 building. A smoke alarm or a heat alarm complying with AS 3786 to avoid spurious alarms must now be installed in a class 10a private garage. Alarms need to be mains powered and interconnected if in the same occupancy.